(Durham, NC) - September 24, 2018 - For Kerri Hall, the launch of her PopUp @ American Tobacco showroom is a big step in her mission to introduce North Carolina made furniture to a new audience. 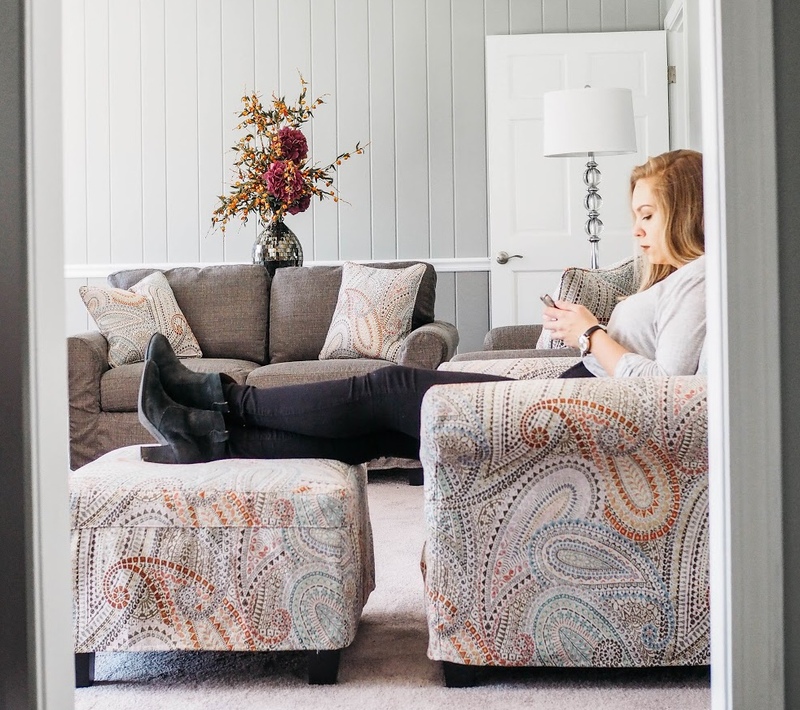 A second generation North Carolina furniture entrepreneur, Kerri will put down temporary roots for her e-commerce bespoke furniture store, MicMag by Me, October 4-27 at Durham’s popular revolving retail showcase. MicMag by Me specializes in allowing customers to personalize an array of North Carolina-made upholstered furniture. To date, they’ve specialized in offering a robust e-commerce platform designed to walk a customer through the entire process of creation to personalization to delivery. The showroom will provide a similar experience allowing a customer to walk through an expanded and illustrative experience featuring the #travelingcouch. In addition to the immersive showroom, Kerri plans to use the space to highlight other female entrepreneurs in the community with a “Women, Wine and Wisdom” night each Wednesday during her stay. She’ll also host Mommy and Me time on Mondays and even some special events for our four-legged friends on the weekend. There is also an Instagram scavenger hunt featuring the #travelingcouch planned to make the Pop Up show a fun and interactive time with the community and of course prizes for the lucky winners. You can find more on MicMag by Me and Kerri’s plans/events along with contests she’ll host on her social media: Instagram, Facebook, and Twitter. The MicMag by Me PopUp space will be open Monday through Saturday 10 am -6 pm. Entrepreneurs can review PopUp @ American Tobacco Campus’ microsite (popupdurham.com) for details and information on how to be involved. Consumers can also check the microsite for information on the latest PopUp showcase. American Tobacco’s social channels (Facebook, Twitter, and Instagram) will carry PopUp news. The hashtag is #PopUpDurham. Images for press are here. Capitol Broadcasting Company, Inc. is a diversified communications company which owns and/or operates WRAL-TV , WRAL Digital , WRAZ-TV , WRAZ Digital, WRAL-FM, WRAL-HD2, WCMC-FM, WCMC-HD1, WDNC-AM , WCMC-HD2, WCMC-HD3 , WCLY-AM , WCMC-HD4 , Microspace , CBC New Media Group and Wolfpack Sports Properties (a joint venture with Learfield) in Raleigh, NC; WILM-TV, WILT-LD and Sunrise Broadcasting in Wilmington, NC; The Durham Bulls Baseball Club, Bull City Hospitality and Bull Durham Beer Co., and the American Underground startup hub in Durham, NC; Holly Springs Salamanders in Holly Springs, NC; and real estate interests including the American Tobacco Historic District in Durham, NC, and Rocky Mount Mills in Rocky Mount, NC; and Professional Builders Supply (an equity partnership) in Morrisville, NC. Music for the Bull City!